The magnificent revelation in the Old Testament that both man and woman are created in the image and likeness of God (Genesis 1:27) was the foundation of a unique culture of life for the Hebrew people, from which would one day come a Savior safely hidden away in the womb of the Virgin before that first Christmas day. Ref. 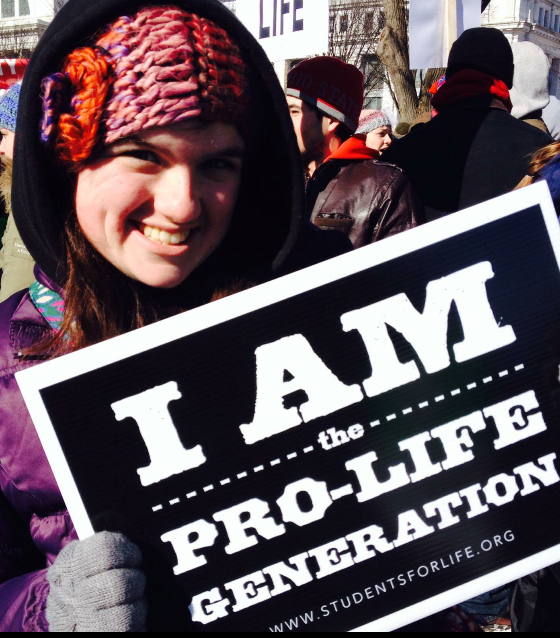 The photo is of my daughter, Molly, when she traveled to the 2014 March for Life in Washington D.C. all the way from Benedictine College in Kansas.